Author: Preston, Alison Set In . . .
One summer afternoon in 1954 a jealous four-year-old girl named Cherry Ring bites her baby brother Pete on the cheek. She bites him so hard that little Pete needs a skin graft to repair the damage and will have a scar for the rest of his life. Cherry knows what's she's done is wrong, and she really is sorry. But sorry isn't going to be good enough. The bite marks the beginning of a troubled relationship between the siblings that will last a lifetime. As Pete gets older he perfects an ability to completely ignore his sister. It scares Cherry, the way he looks right through her, and she chooses to leave him alone. Cherry can't seem to find her way into her mother's affections either. Her father is the only one who seems able to love her, but when she is only nine years old he dies suddenly, leaving her to manage as best she can in her dysfunctional little family. Cherry is in university when her mother decides to remarry and move away, taking Pete with her. Cherry isn't sorry to see them go. She finally starts to feel like her life is going somewhere. 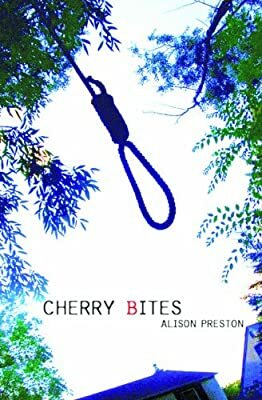 But on a sultry summer night in 1995 disturbing incidents begin to occur around her house and Cherry realizes she has not managed to leave her past behind. Luckily that nice police inspector Frank Foote lives in the neighbourhood. Maybe he can help her. The story unfolds in the Winnipeg neighbourhood of Norwood Flats, which readers have come to know in Preston's other mysteries, The Rain Barrel Baby, The Geranium Girls, Sunny Dreams, The Girl in the Wall, and Blue Vengeance.